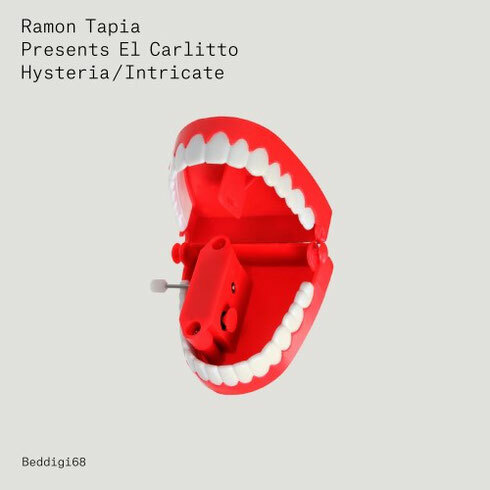 The creator of possibly some of the freshest sounds in techno music in recent years, Ramon Tapia is back with his new double-header for John Digweed’s Bedrock label. ‘Hysteria’ exhibits energetic menace with its elongated rumbling sub-bass hum and whip-snap percussion build, before launching into melodic flourishes and a groove finale. ‘Intricate’ also features a classic Tapia percussion-led groove that expands with filmic flourishes and twists a plenty, resulting in yet another nicely crafted piece of music. Ramon’s shows skill as he blends the slower, sexier sounds of the contemporary techno vibe with his deep understanding of the genre from the past few decades. With tinges of his Latin background influencing percussive elements and his Dutch/Belgian heritage providing the basis for his hard-grooving template, his sound is one of the freshest of recent years. Havana’, the Ramon Tapia & Stavroz collaboration from last summer (with that deadly trumpet hook), apparently remains a firm favourite in many DJ sets today. It was recently revived with a remix by Guy J and featured on the recent ‘Underground Sound Of Ibiza 2’ compilation. It’s out today on Bedrock Records, check it out below.